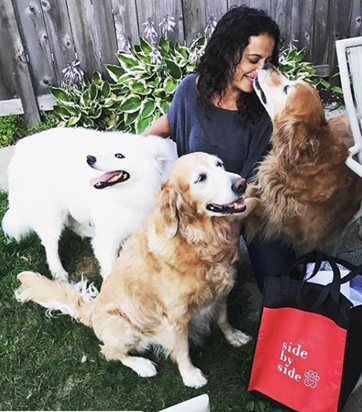 Side by Side founder, Marney Prince was working as a vet tech and saw how many pets were coming in with skin conditions, food sensitivities, other illnesses and disease. 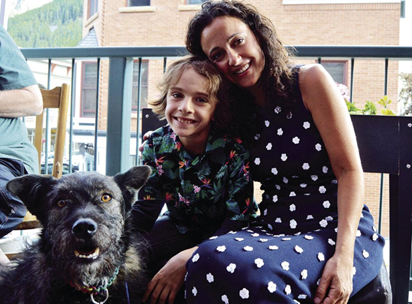 Marney began researching and was encouraged as she read about the benefits of whole food nutrition, as well as the food therapies and herbal supplements used in Traditional Chinese Veterinary Medicine. 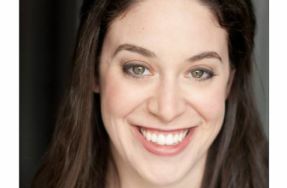 She decided to turn in her vet scrubs for a chef’s coat and went to school to become a holistic animal food chef. 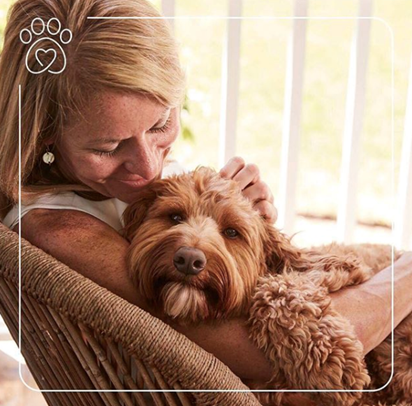 The more Marney learned about pet health, the integration of Western and Eastern medicine and the role of nutrition, the more she became convinced there was a better way to feed our pets and Side by Side was born. 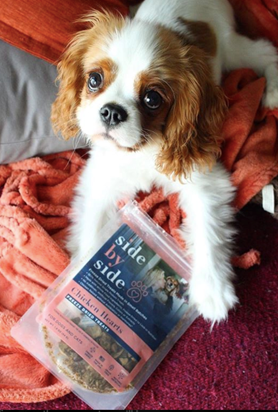 Side by Side offers whole food diets, treats, supplements, toppers, and broths. We want to help you understand more about your pet’s specific needs so you can provide them with what they need to be at their healthiest. When you look at our ingredient panel, you will recognize every ingredient. When you see our food, you will see kale, carrots, beets, pumpkin etc. with your own eyes. 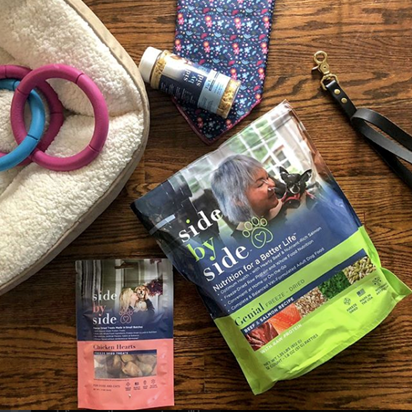 We also help you determine which recipe, treats, and supplements will be most beneficial for your pet with our online Pet Assessment (https://sidebysidepet.com/assessment/). In addition, our Pet Nutrition Specialists are readily available via chat, email, or phone. 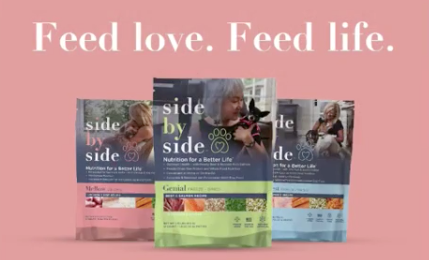 Side by Side is a pet nutrition company offering human grade, balanced diets, treats, supplements, toppers, and broths. 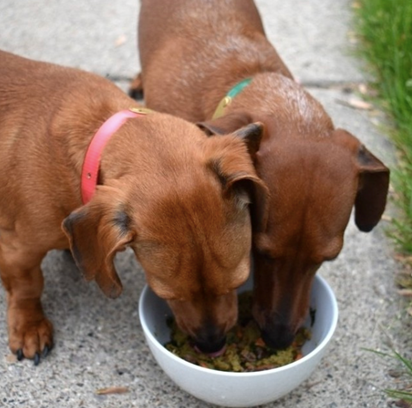 Our goal is to help pets live longer and feed them the way nature intended using whole food ingredients. To help heal from within. To change the industry, get back to basics, and do this all together, Side by Side. 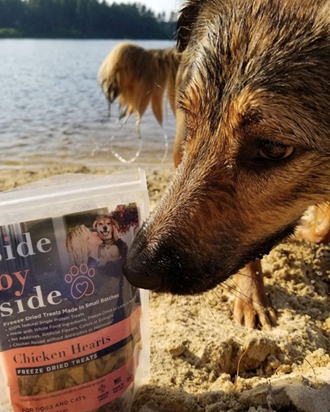 Take our online Pet Assessment(https://sidebysidepet.com/assessment/) to discover the perfect meal for your furry BFF! We strive to be your learning resource for your pet. 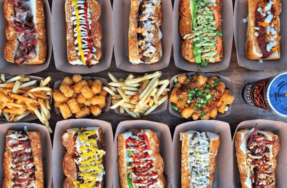 Stay tuned for fun dog friendly events so you can learn more!